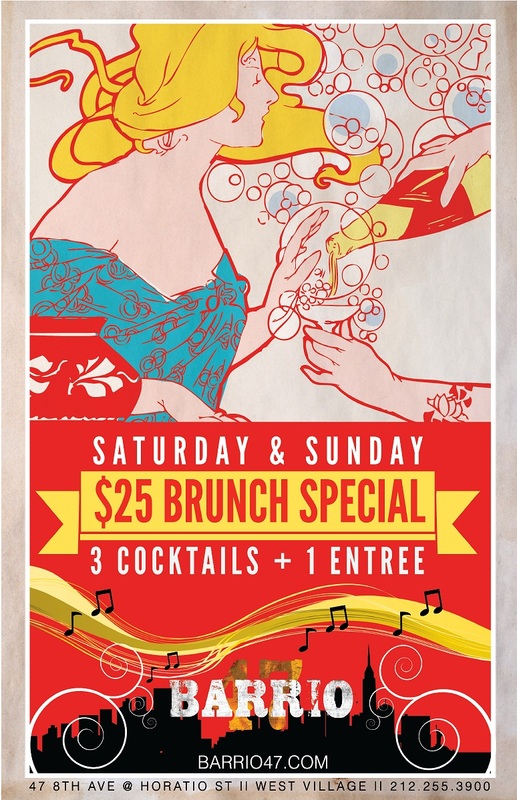 You read right…Get 3 cocktails and brunch entree for $25. This entry was posted by Rosemarie on Wednesday, January 9th, 2013 at 7:41 pm	and is filed under Brunch, French/Bistro, Latin, Manhattan, Mediterranean, Spanish, West Village. You can follow any responses to this entry through the RSS 2.0 feed. You can leave a response, or trackback from your own site.